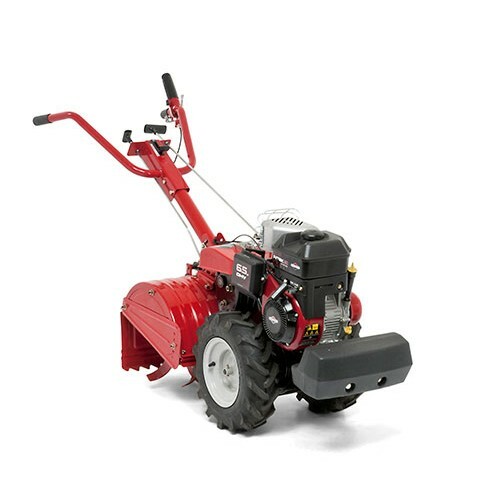 A powerful rear-tine tiller, suitable for prolonged use in managing larger allotments, small holdings, nurseries and preparing areas for grass seeding or turf laying. Highly effective soil tiller for working with densely packed earth and older lawns. 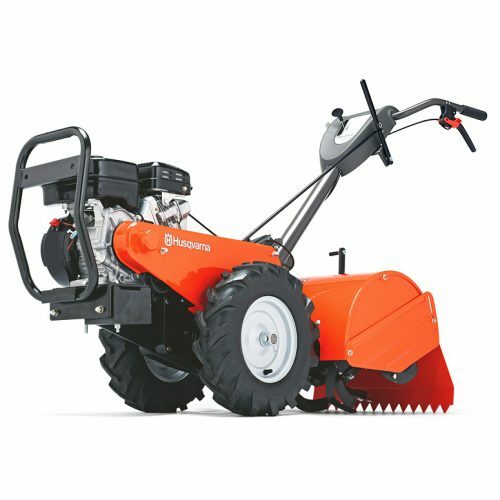 The HUSQVARNA TR430's large wheels with chevron tyres provides maximum traction, while its counter-rotating tines provide superior bite allowing your petrol tiller to dig deeper into the soil breaking it up more efficiently. 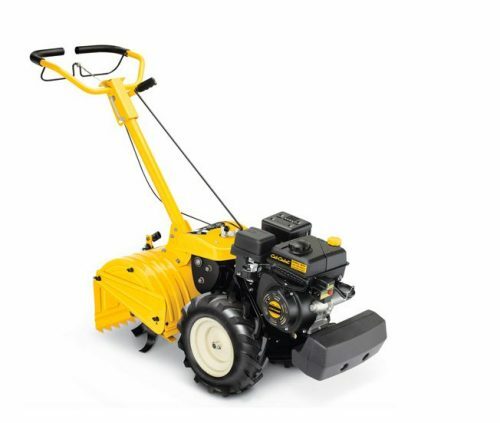 This heavy duty tiller has a chain drive on its rotors and wheels allowing it to tackle tougher tasks, plus has a reverse gear for easier operation. Handlebar height is adjustable for ergonomic operation. Prepare the soil ready for planting with the powerful and reliable XC3 F46 garden tiller. Loosen the soil and remove weeds, quickly and effectively with the extra wide tilling width. Four self sharpening, heat-treated, high quality tines made of spring steel ensure excellent work results at a tilling width of 46cm / 18" enables you to cover more ground with each pass and the dual tine direction 33cm / 13" tines provides fine cultivating and seed-bed preparation in any soil conditions. The easy to use full bail handle operation lets you stand to the side and steer the tiller with one hand whilst the adjustable depth bar gives the tiller better stability and makes controlling the tilling depth nice and simple. Acceleration, transmission and working direction can be controlled from the operators position and with forward and reverse gears, it is easy to manoeuvre as needed.